Diazepam Overdose occurs when an individual takes more than the prescribed amount of diazepam, which is a medication used to treat anxiety disorders. The intake may be accidental or intentional. What are the Causes of Diazepam Overdose? What are the Signs and Symptoms of Diazepam Overdose? How is First Aid administered for Diazepam Overdose? Who should administer First Aid for Diazepam Overdose? 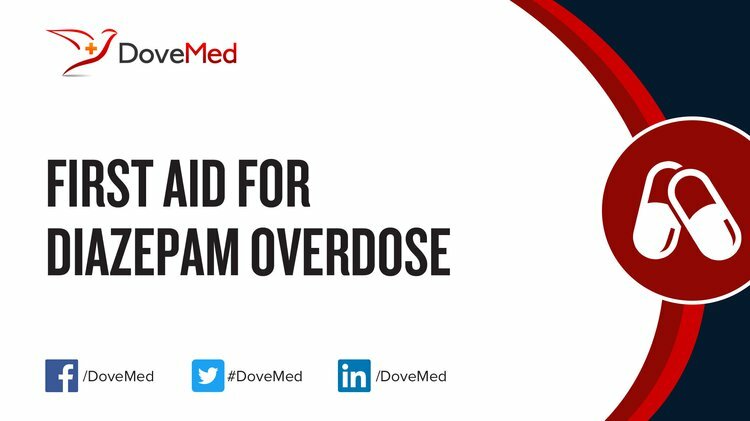 First aid for Diazepam Overdose is administered by healthcare professionals. What is the Prognosis of Diazepam Overdose? How can Diazepam Overdose be Prevented? Bajgar, J. (2010). Optimal choice of acetylcholinesterase reactivators for antidotal treatment of nerve agent intoxication. Acta Medica, 53(4), 207-211. Ziemba, R. (2012). Use of individual auto-injector kits ‘IZAS-05’on the contemporary battlefield. Medical science monitor: international medical journal of experimental and clinical research, 18(1), SR1. Sharma, A., & Pandit, V. (2014). Importance of Poison Information Center and Role of a Pharmacist in Management of Poisoning. IJPTP, 5(1), 905-909. Tsai, T. C., Wong, L. Y., & Wu, H. P. (2011). Acute seizures are readily recognizable episodes requiring urgent treatment. This study was conducted to compare the efficacy and safety of suppository use of rectal diazepam solution [Stesolid rectal tube (SRT), Alpharma, Inc., Lierskogen, Norway] with those of intravenous diazepam (IVD), Li Ta Pharma Co, Ltd., Taichung, Taiwan for control of acute seizures in children with intractable epilepsy. Subjects... Pediatrics & Neonatology, 52(1), 30-33. Wang, L., Wang, W. L., Yang, H. R., Li, Y., Chen, Q. H., & Duan, X. H. THE RESEARCH ADVANCE ON MODERN DETOXIFICATION DRUG RESEARCH METHODS.